WE ARE CREATING A NEW CITY CENTRE WITHIN THE CAPITAL! 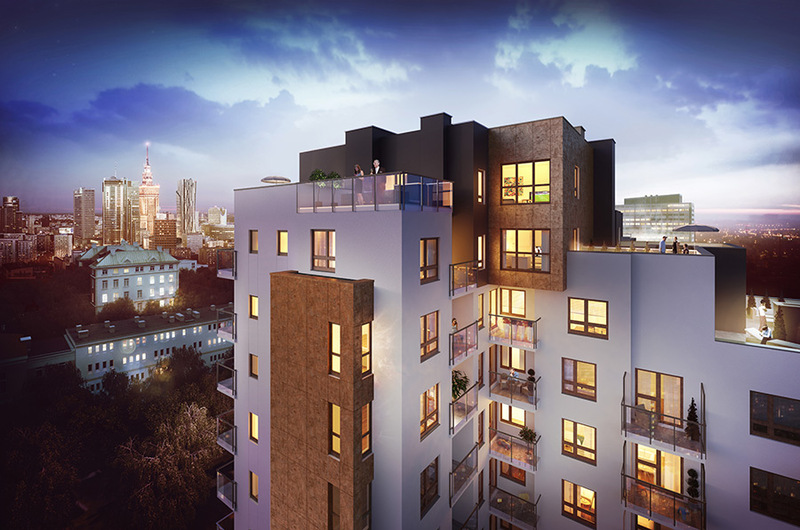 Discover the charm of our investment in Warsaw! City Link redefines the city centre. 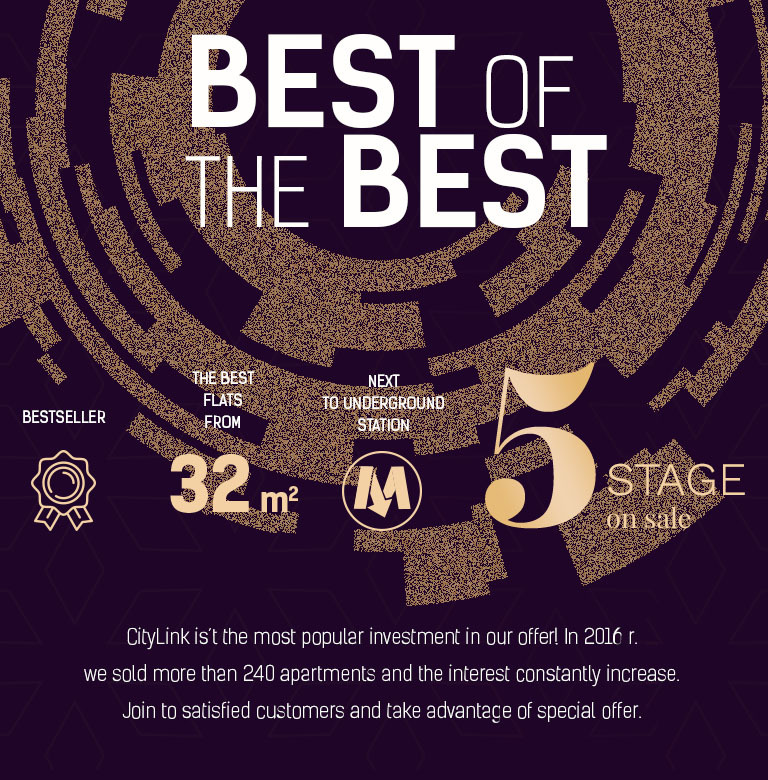 Located right next to the Płocka metro station which is currently under construction, the residential complex is an absolute best-seller among those who appreciate efficient communication and proximity to the business centre of Warsaw. 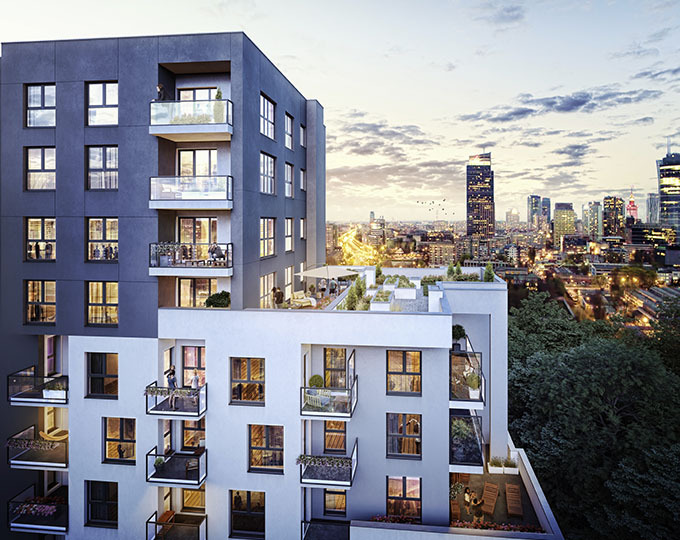 The estate’s surroundings offer a wide range of parks, schools, restaurants, cinemas and theatres to residents, making City Link a great place to live for both single people and families with children! A PLACE WITH POSITIVE ENERGY! The modern architecture of the City Link residential complex and its well thought-out solutions will make you feel at home straight away. All the apartments for sale are bright and sunny, and the high standard of finishing as well as the city square makes this place truly special. Come to the sales showroom at ul. Wolska 45A and see for yourself how your new apartment in the centre of Warsaw can look. The estate’s large green courtyard will make you forget about the hustle and bustle of the city for a moment. It’s a great place to relax, read a book or spend time with your children at the playground. Specially illuminated plants create a unique atmosphere in the evening.